From alternative living in France too… (cue classical music) the quintessentially British COUNTRY SHOW. We never went to country shows as kids.. living Reading weren’t really that country..INIT. But for my husband and his farmer crew fam it was a big part of rural life. So since discovering how good they are for a family day out I have been to quite a few. The week before last we braved the rain and went to the Corsley Show which even in the pouring rain was fun. They always have a horticulture tent where people enter into various categories. They seem to be something like vegetables, cakes, flowers and kids. There is quite often loads more random sub-categories and the kids one is always worth a look! Anyone can also enter. I keep meaning to and then not getting around to it. The MASSIVE veg is always well impressive. That might be the type of thing you never would think you would get excited by but when you’re standing next to a huge onion it really puts things in perspective. Most shows have a collection of gorgeous trucks, tractors, cars, army vehicles, vintage caravans.. We met Mike our wedding chauffeur at Dorset Steam Fair Last year. 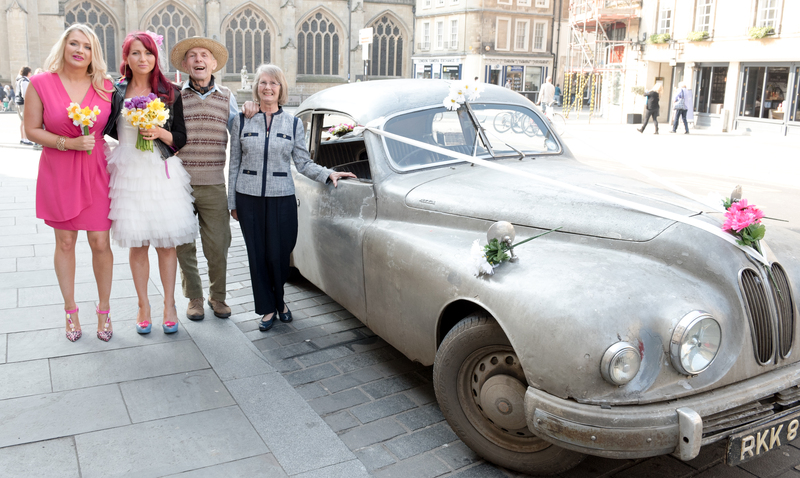 We had seen Mike’s vintage aluminium Bristol Classic car at various shows and driving around where we lived and LOVED the look of it, then when he was actually by his car for once I last year I asked him if he ‘did weddings’ and he said he hasn’t before, but he would be honoured…and here we are! What a car! 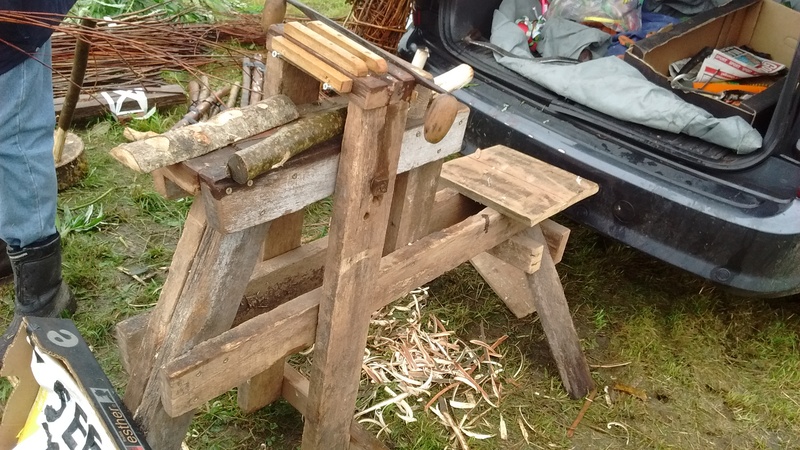 At the Corsley Show, I had a bit of a turn at ‘Green Woodworking’ which means making stuff out of natural wood that hasn’t been seasoned. So basically stuff you would just find in a wood. You shave the bit of wood down to fit in the hole you have drilled basically! Simples! 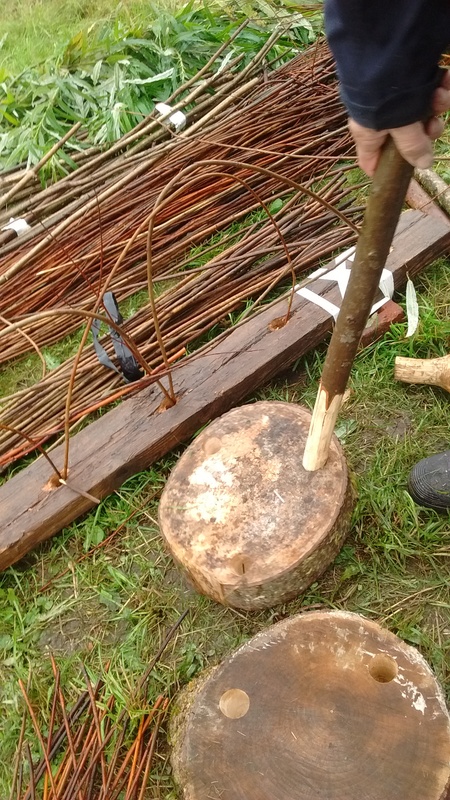 This guy was also making some cool stuff from willow. 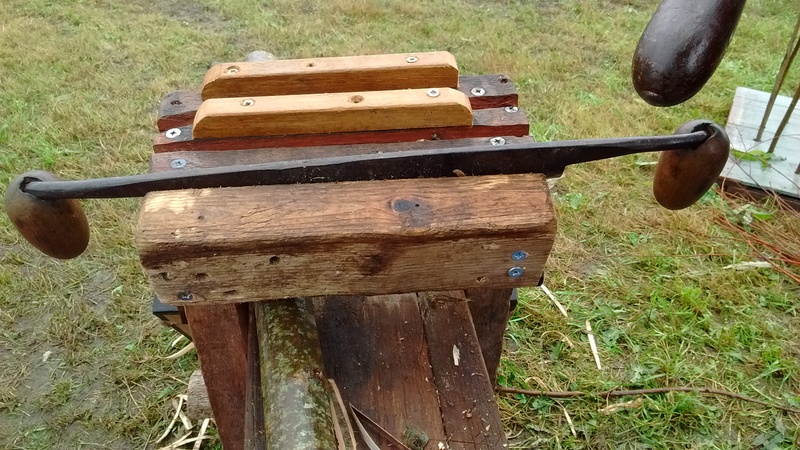 We had a go and these swords were surprisingly easy to make. There nearly always a dog show and most of the time there is a child handler category. Lyla entered and won once! All these little activities apart from the fun fair are normally free once you are in. Quite a lot this (if you could call it) summer I have just had to leave village fetes because everything cost loads of money, especially with two kids. At least at a country show there are activities that are for free that you can distract them with. Depending on the size, some shows have agricultural competitions. 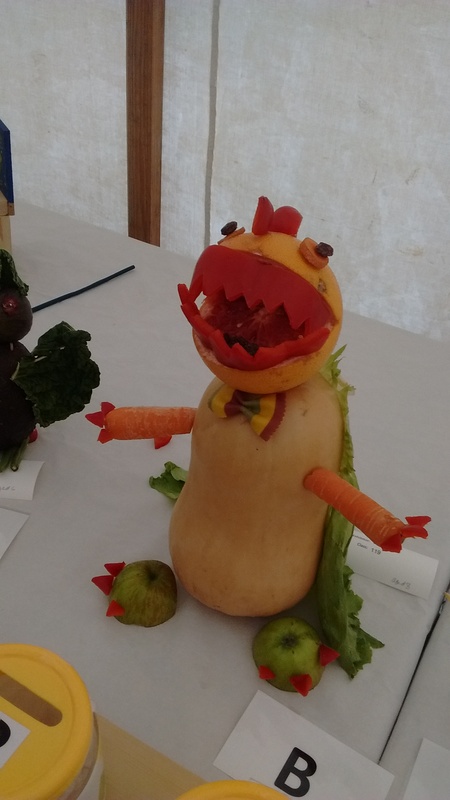 The cheese show which is in Frome next weekend (12th Sept) has every type of farm animal you can think of and you can spend ages with little ones just looking at all the animals. The usual classics, tombolas, lucky dip.. other fete games, food, local produce. 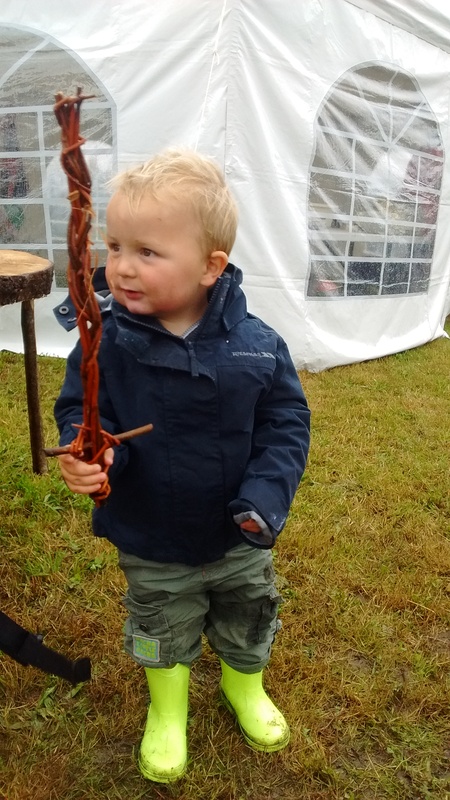 These can range from childrens races to Stunt Bikes, Medieval jousting, ferret racing, historical re-enactments, roll dash and bash (rolling, dashing and bashing cars), Falconry display’s and what ever takes there fancy. 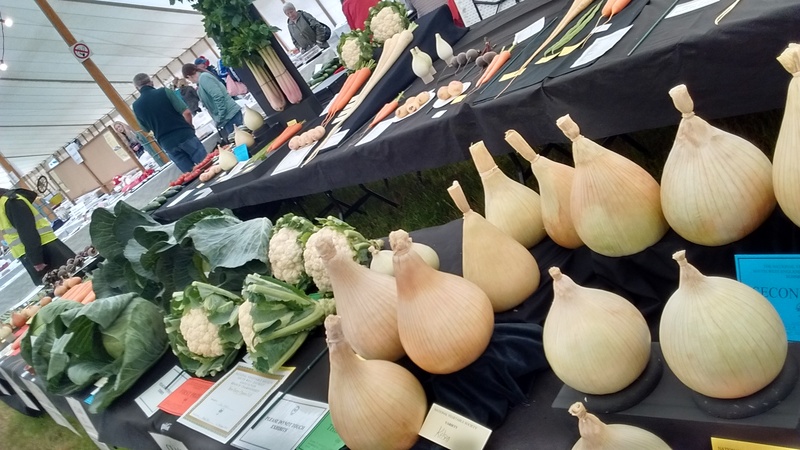 If Country Shows seem like the type of thing you might like then the Frome Cheese Show is THIS WEEKEND (SAT 12TH SEPT) and a great one to go to as its got a LOADS of stuff going on for all ages! http://www.fromecheeseshow.co.uk. Ah I do love a day at a country show – so very quirky! You’re right about it being a great day for the kids too, ours always love the giant veg! Even in the rain they are fun! Country shows are fantastic! We didn’t go to many as children, even though we lived in a village, there weren’t many in our area. But as an adult I’ve been to lots, mainly smaller local ones, but I love them! The kids have so much fun, looking at animals, giant veg and of course all the tombolas and kids rides make it an excellent day out. 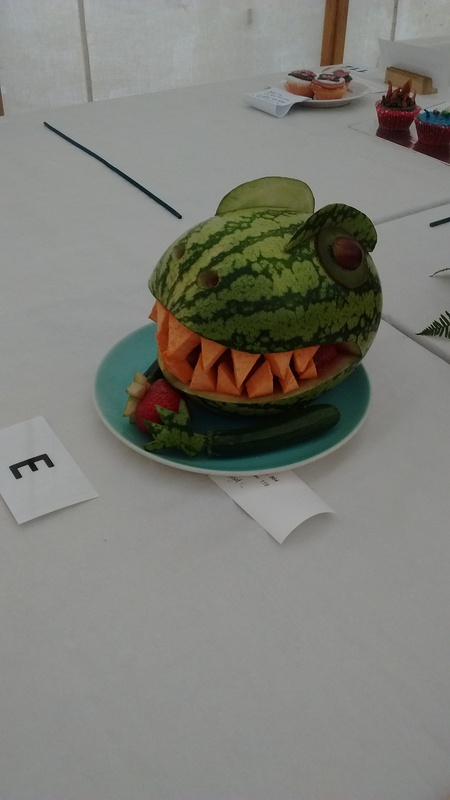 I love the willow swords you made and the dinosaur fruit and veg sculpture are excellent, might have to try my hand with that with O! Yes they are an essential country weekend activity!